As well as enjoying my time painting I have started producing a series of eBooks which bring together my paintings and descriptions of interesting journeys. The first of these Books covers some journeys in the South of France on the Cote d'Azur. 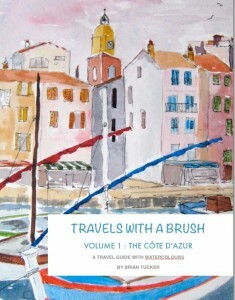 The itineraries are illustrated with watercolours by the Author. The second in the series is about Ulster in the North of Ireland. 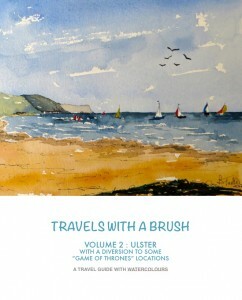 As well as guiding the reader on a discovery journeies around the Province of Ulster this book helps the visitor locate a few of the locations of the popular TV programme, "The Game of Thrones". Please enjoy these free books and I hope you will find them helpful to your travels. They can also be found on the Apple iBook store under Brian Tucker ( not all the books under that name are mine) where they are also free to download. I hope you enjoy them as much as I have in producing them.